The Great Barrier Reef is one of the world's most spectacular natural features and one of the few biological structures visible from space (Fig. 1.1). The sheer size of the GBR Marine Park (over 360 000 km2) as well its beauty and biodiversity draw people from all over the world. The reef stretches over 2200 km from subtropical waters (~27°S) to the tropical waters of Torres Strait (8°S) and as far as 400 km from the coast to the outer shelf slope. For Australians, the reef is a source of much pride and enjoyment. The GBR is one of the most prominent icons of Australia, with the majority of visitors coming specifically to Australia to see it. This draw underpins substantial industries such as tourism and commercial and recreational fisheries. What is perhaps a surprise is how much more we still need to know about coral reefs like the GBR. We are still struggling to describe the myriad of species and processes that define the GBR—all with an urgency now that is heightened by the unprecedented local and global pressures that currently face the reef. 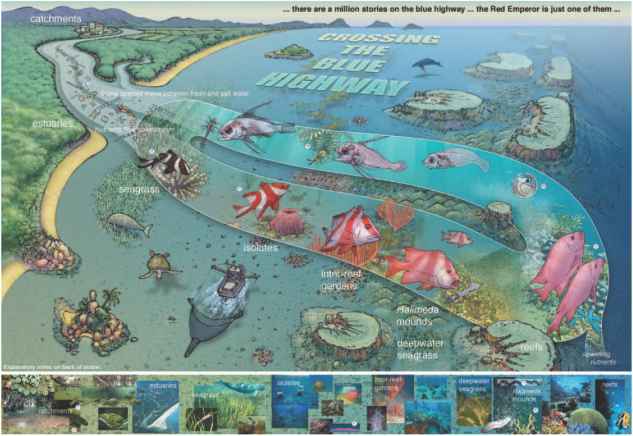 The underlying concept behind this book is to describe the patterns, processes, human interactions and organisms that underpin large reef ecosystems like the GBR. 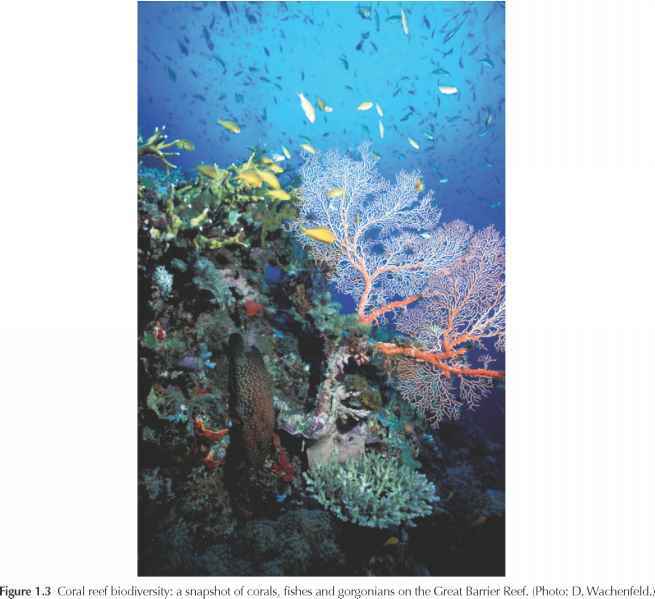 Although much of the content of this book is focused on the GBR, we consider it highly relevant to coral reefs in other parts of Australia and the rest of the world. There has been no other comprehensive introduction to the biology, environment, and management of the GBR, especially with regard to the major processes that underpin it or how issues such as deteriorating coastal water quality and climate change affect it. Extending our knowledge and understanding of these processes is vital if we are to sustainably manage the Reef, especially during the coming century of climate change. Only by understanding and managing it wisely do we have a chance of keeping the GBR 'great'. 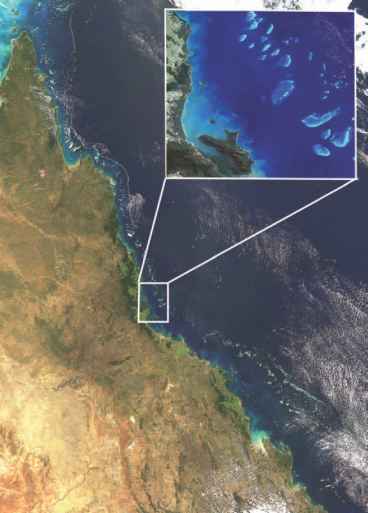 Figure 1.1 Image of the entire GBR from space showing the mainland from Cape York to Gladstone (approximately 2000 km). A mosaic of reefs can be seen parallel to the mainland and extending hundreds of kilometres across the GBR. Quasi-true colour image showing the Great Barrier Reef along the continental shelf of north-eastern Australia. (Image generated from the Moderate Resolution Imaging Spectroradiometer (MODIS), data courtesy of NASA/GSFC, image courtesy of Dr Scarla Weeks, Centre for Marine Studies at The University of Queensland. Insert shows a closer cross-shelf view of the reefs out from Hitchinbrook, near Townsville. associates of this society. It was also intimately involved in the establishment of the world's largest marine park, the GBR Marine Park in 1975, which was recently enlarged and rezoned based on our much increased understanding of coral reefs. forces within and around the reef, illustrating its inherent dynamic personality. This section also reviews our current understanding of how local (declining water quality and over exploitation of fisheries) and global factors (ocean warming and acidification) have changed the circumstances under which coral reefs have otherwise prospered over the last millennia. 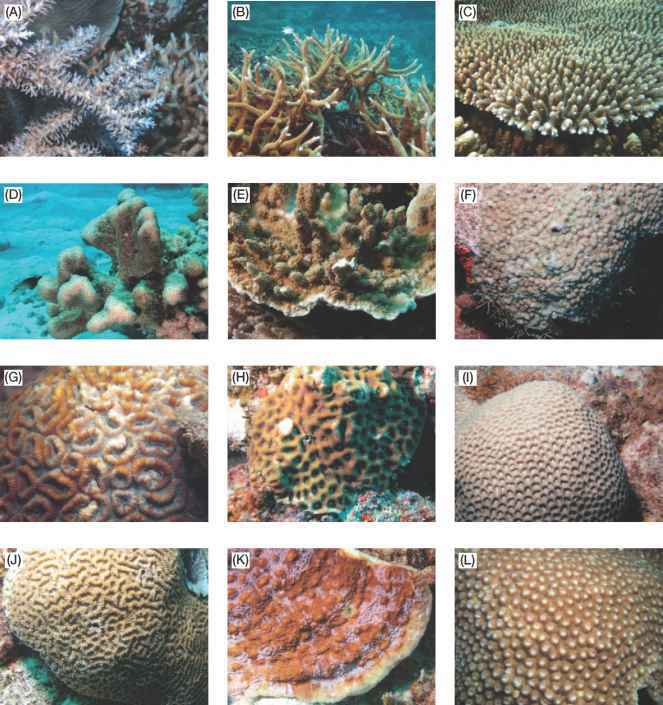 The third and last section of this book, which is perhaps the most important, deals with the diversity of organisms that live in and around coral reefs (Fig. 1.3). In this section, the reader is introduced to the basic taxonomy of the major groups, as well as their biology and ecology. This is a fascinating journey through the unique and wonderful creatures of coral reefs. By weaving the basic taxonomy of these groups together with fascinating details of their lives, it is hoped that the interest of the reader will be inspired to explore this incredible diversity. the GBR. Reefs of the world are at risk and knowledge-based management is critical. The GBR is at the forefront of this. It is our hope that this book will help develop a better understanding of coral reefs and to assist in maintaining their ecological resilience in order to allow them to survive the challenges of the future. This said, we hope that you will enjoy using this book to discover the intricacies of the world's most diverse marine ecosystem. As editors, we would like to thank the generous contributions from the many authors that have contributed to this book, the production of which would have not been possible otherwise.